To produce a good results in your beginner training, learn to run program it is important to add a few exercises during the week. Today I'm only going to focus on 3 really good exercises that strengthen quadriceps (your thighs) and are easy to do and only need to be done 3x per week. These exercises will also strengthen your buttocks, hips as well as your thighs! When you Strengthen your quadriceps you are building the biggest muscle in your body. This muscle runs from your knee to past your hip. Strengthening your quadriceps helps to build strength in your run/walk and running program! When you build these muscles you create an excellent balance for your body when landing while preventing injuries. When you jump on the spot for a minute your balance may be really good in the beginning, but will probably start to wane once you reach the end. If you build the strength of the muscles that support the other muscles in your quadriceps, then you will hold your balance and strength longer. You will support your body and running program better and muscles that tire can rely on other parts of the muscle for support. You may be thinking you don't need a whole lot of balance when you are running, but when your body begins to tire your posture can become sloppy. You will start to lean on other muscles for the support and these other muscles may not able to handle these conditions. This can lead to injury. You don't want injury or you'll have to quit and start all over again! 1. I love this one because you can really feel the muscle burn. This one is good for building the muscles surrounding you hips, buttocks, and of course your thighs. Find a nice sturdy wall, lean against it, then slowly bring your body down to a sitting position and have your legs bent at a 90degree angle. 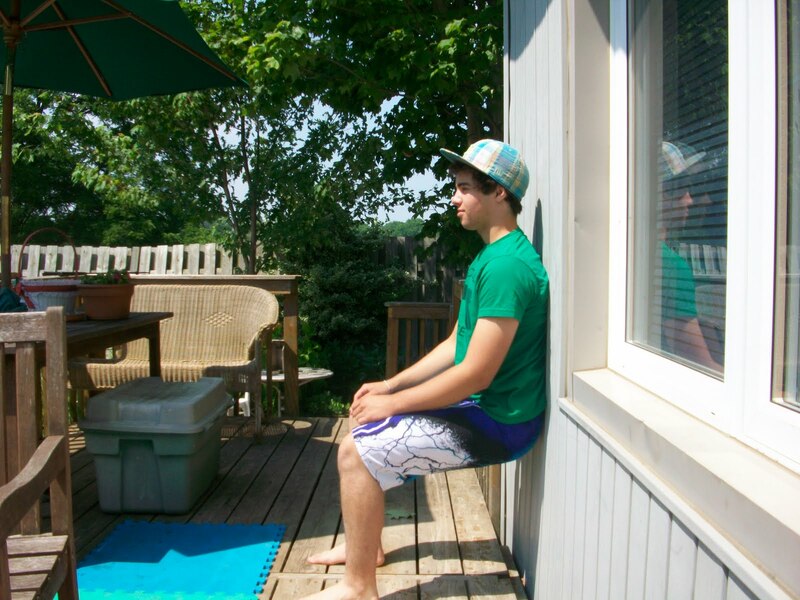 Stay in this position for 30 seconds and do this 2x. When your muscles get stronger you could increase this for a minute each time. 2. 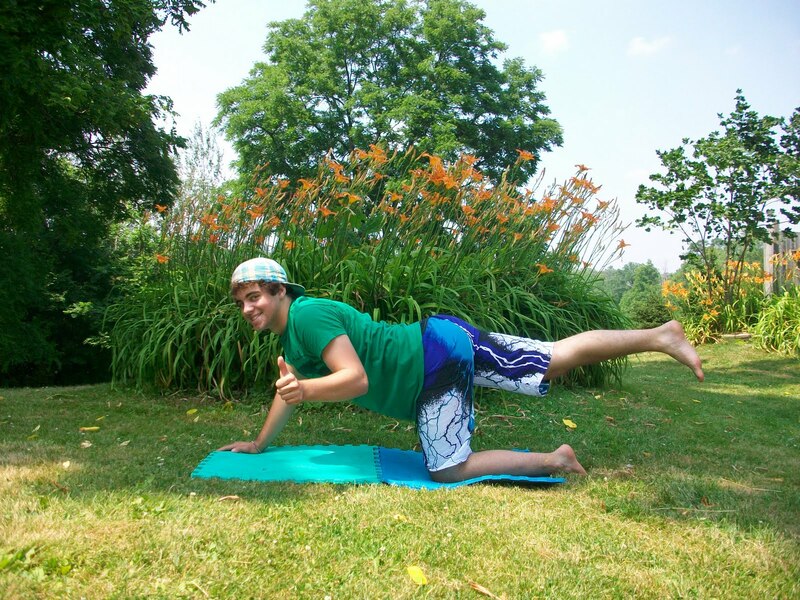 This exercise is excellent for strengthening the hip muscles and front thigh! Using the floor lie flat on your back, bend one leg and then slowly raise your other leg up until it is 90 degrees from the floor hold and then bring it back down slowly. You can add weights once you feel comfortable with the reps.
Do this 12 reps 2x for each leg. 3. This exercise is great for your buttock muscles and helps to develop the muscles in your hips going to your thighs. Using the floor again you will position yourself on your hands and knees. Raise one leg behind at body height, have foot flat with your toes pointing to the ground, bring it down slowly to start position. Make sure to keep your leg as straight as you can and both hands on the mat. Do this 12 reps 2x for each leg. Try to commit at least a couple times a week, you will feel the difference building and strengthening your quadriceps on your next run! If you feel any discomfort like pain stop immediately. Always do these exercises in slow and controlled movements. Please comment in the section below and tell me what you think! great workouts!!! I will try them! !